Five months! That’s how long it took me to finally continue where I left off. These are all thrift store finds, so I cannot give an accurate description of when, or who, or what edition these dolls are from. Should anyone recognize them, please comment, I’d appreciate it very much. 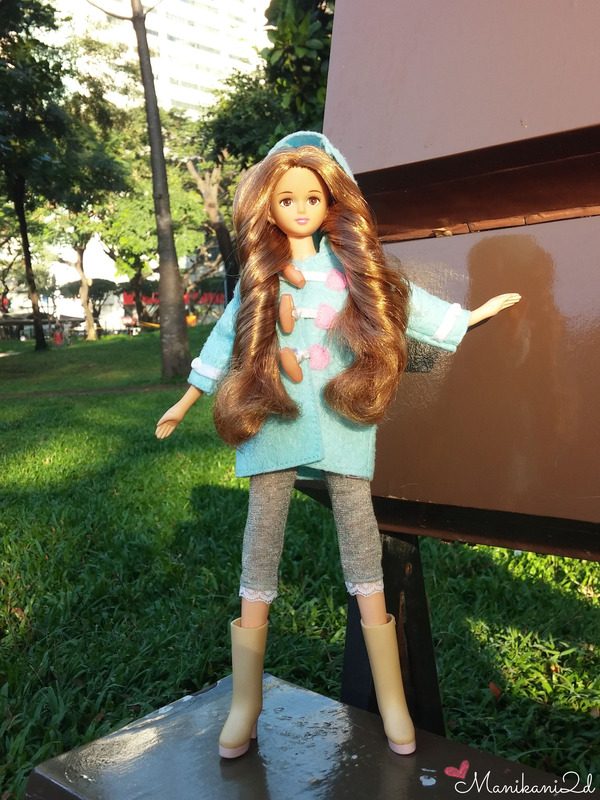 Last week I brought 2 dolls with me on my way to work. 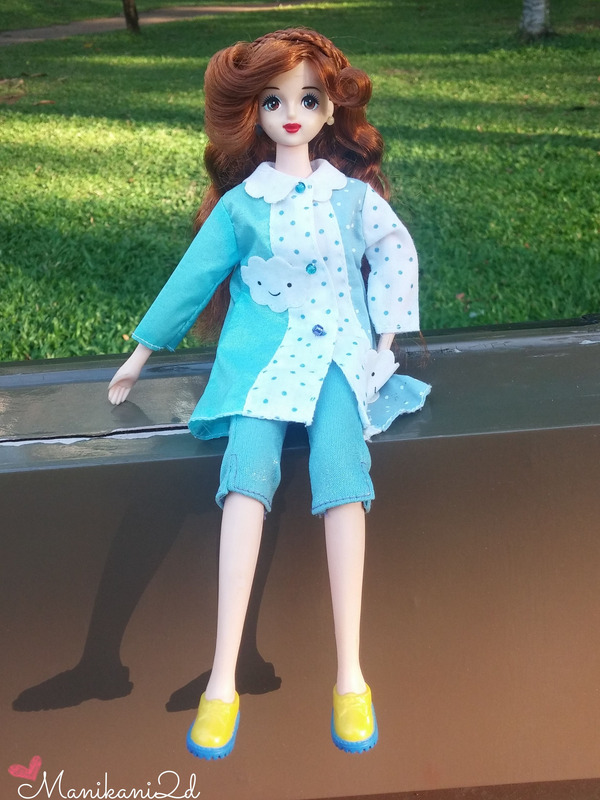 I did my photo shoot in the park, it was my first time to do it outside. Some passersby would stare as they walk past me, I felt a little embarrassed at first, but later on after a few clicks, I got the hang of it and ignored them. Meet PG Fashion Station Jenny friend, Shion from Japan with natural body that is so hard to dress. Originally, she wears Pink and White Dress, Jacket and Boots. And this is another Fashion Station Jenny Friend, Love Way Tamaki. She originally wears a red dress like some sort of fashion raincoat, white boots, and striped thigh high socks. Well at last I am a bit motivated to resume my journey (LOL!) or maybe I just needed a lift and that’s another story and another blog. 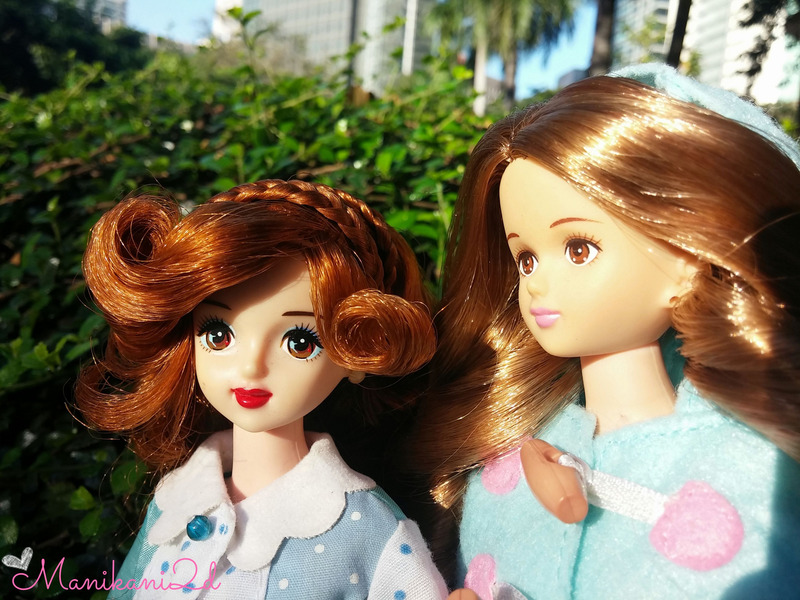 I took out all of my Jenny and Licca dolls and gave them a nice bath for the second time. Their first was when I got them, but that was maybe 3 or 4 years ago. I’m glad they didn’t have melting issues like some other dolls. These are all that’s left, I already sold some. I’d often contemplate on selling them all, but I keep changing my mind each time. I remember how I dreamed of having even just one, because they’re expensive and most are only available in Japan. I didn’t know I could find them in thrift stores. Only a few of them had their original dress on when I found them, I was lucky enough to have hauled a bunch of Licca Chan’s dress, some of which are still new! As for Jenny, I can use Barbie’s outfit. Among these dolls, one favorite of mine is this one. She and the dress she’s wearing is in very good condition, like she just lost her box in transit. I’m still searching for her identity, head mark K119, same mold used in Excelina Barbie, she is made in China. 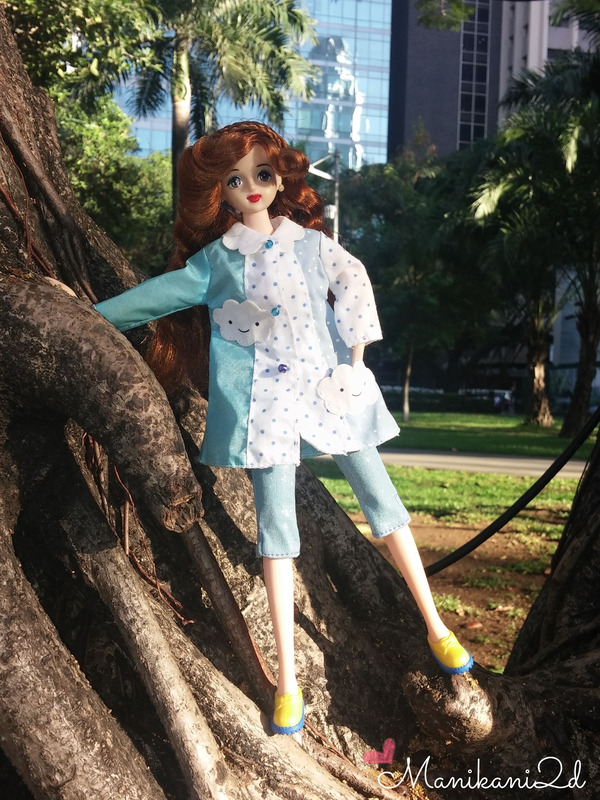 I’m not sure if she’s a Jenny, there are too many versions of Takara dolls and I’m not familiar with them. Most are made in Japan where they originated, and some are from China. I couldn’t remember what shoes she’s wearing, the necklace above is not the right one, I later found it (below) she was wearing these when I bought her.